Most of us take our soil for granted. We believe that because it has always been there to meet our needs - as a source of nourishment for our food, foundations for our buildings and storage for our water and carbon - then it always will be, in limitless quality and supply. And yet our soils are in crisis. Their health is declining to the extent that we are now just one generation away from a soil system that is unable to meet the needs of the people that depend upon it. 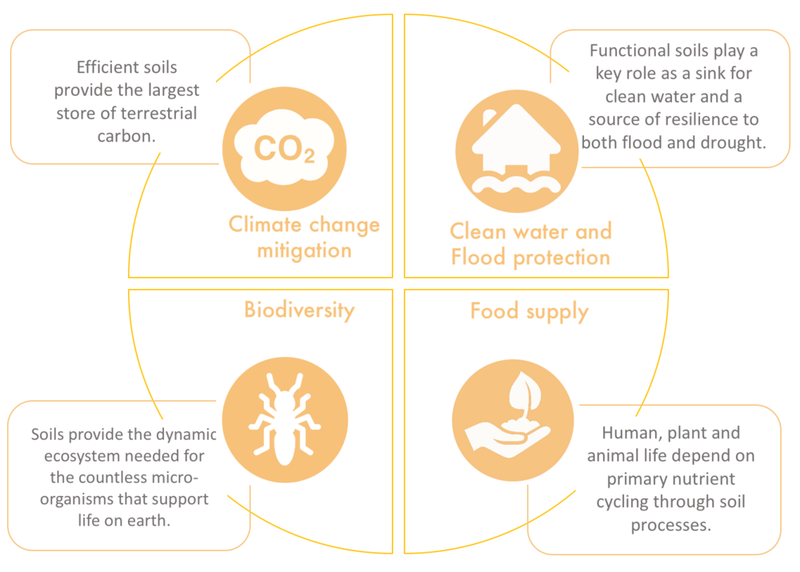 This has come about despite the efforts of a vast and expanding number of organisations from science, agriculture, industry and civil society working to understand and improve soil management. In fact far too few people, if any, truly understand the complex nature of this crisis and the steps needed to restore our soils to a healthy state. We urgently need to find solutions or risk reaching a point of no return. The opportunity to address the situation has come. The return of powers to the UK and devolved assemblies post Brexit opens the door for the new government to put soil at the heart of future farming, environment, flood and construction policies. Meanwhile the recent UN Sustainable Development Goals provide a mechanism for global collaboration and a platform for the UK to become a global leader on the issue, focusing international efforts on the single, very tangible objective of restoring our soils to a healthy state within one generation. In recent years, the quality of our water and air have achieved the vital attention they need. Now it is soil's turn.